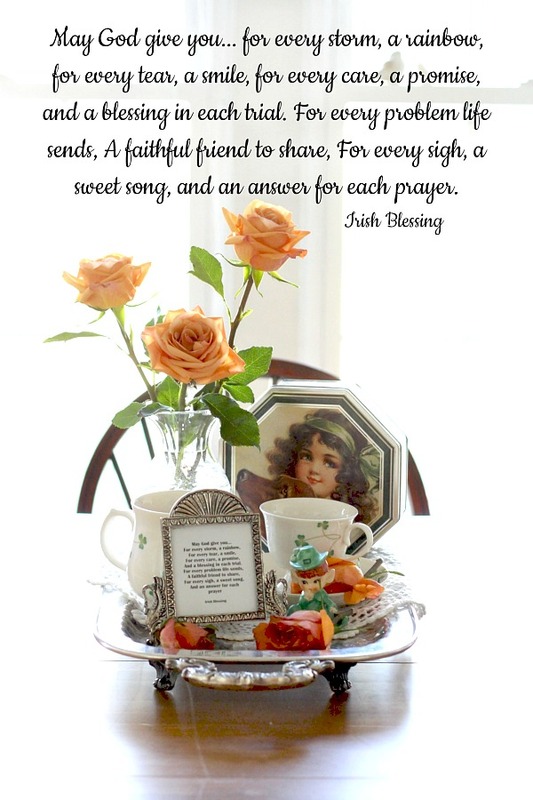 I like this Irish Blessing and framed and copy to include on a tray with other seasonal keepsakes. 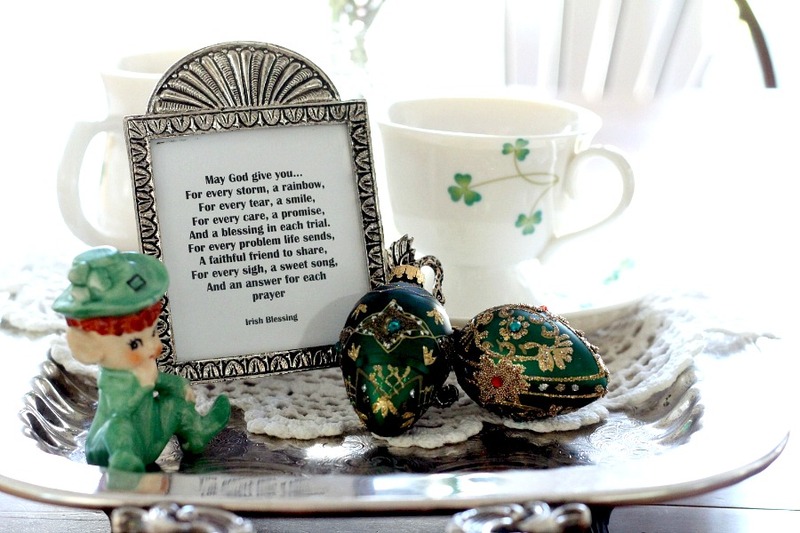 It seems there is an Irish blessing for any and all occasions. May you always walk in the sunshine. And Irish Angels rest their wings right beside your door. St. Patrick’s Day is the national holiday of Ireland and annual feast day celebrating the patron saint the day is named after. It has become a popular holiday in the United States. People wear green and eat foods like corned beef and cabbage, Irish soda bread and lamb stew. It is believed St. Patrick, a Roman-Britain-born Christian missionary, was born in the late fourth century and is credited with bringing Christianity to the Irish people. According to Irish legend, St. Patrick used the humble three-leafed shamrock plant as a metaphor for the Trinity when he was first introducing Christianity to Ireland. 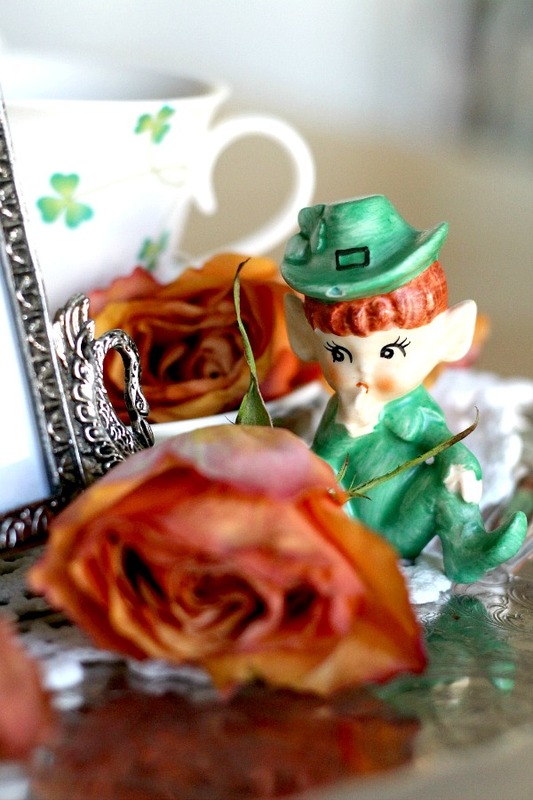 The humble shamrock was a teaching tool. St. Patrick is said to have used the three-leaved plant to explain the Trinity (Father, Son, and Holy Spirit) to the pagan Irish. Here are a few I might not call blessings, but rather amusing all the same. The wisdom of God instruct us. The hand of God protect us. When I count my many blessings I count you twice. I enjoyed your lovely photos and poems. Seems we all are anxious for spring! I hope to make a pretty wreath for the door soon. 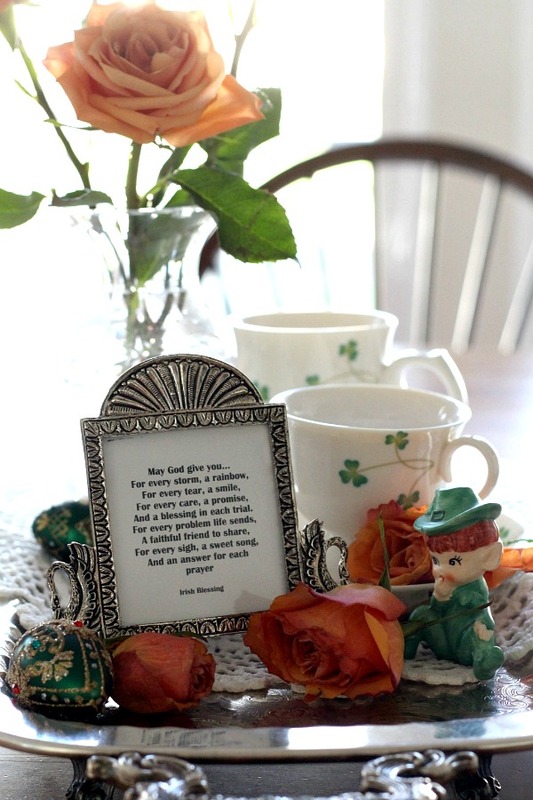 Everything is so beautiful in your photos, especially that shamrock tea cup. My Irish girlfriend use to open her home for a St. Patrick's Day party years ago and serve the Irish foods, teach us to dance and sing. Wonderful memories of St. Patrick's Day past!